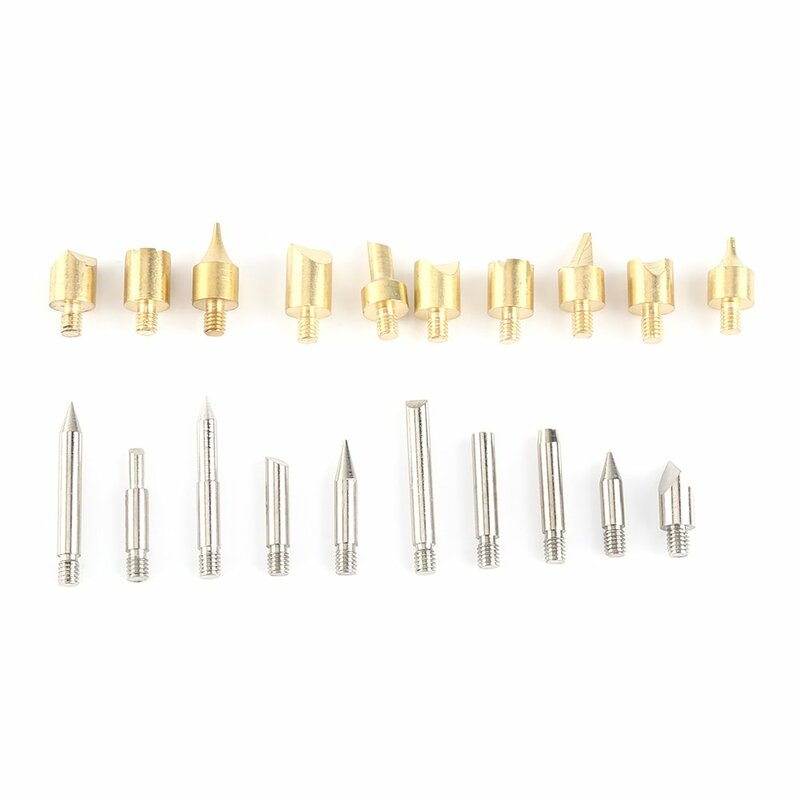 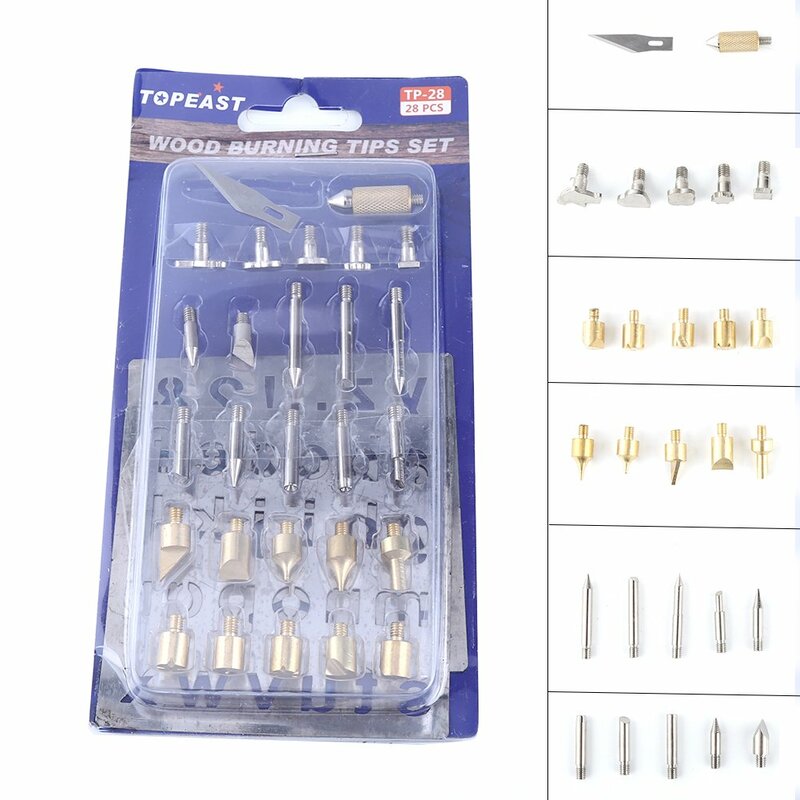 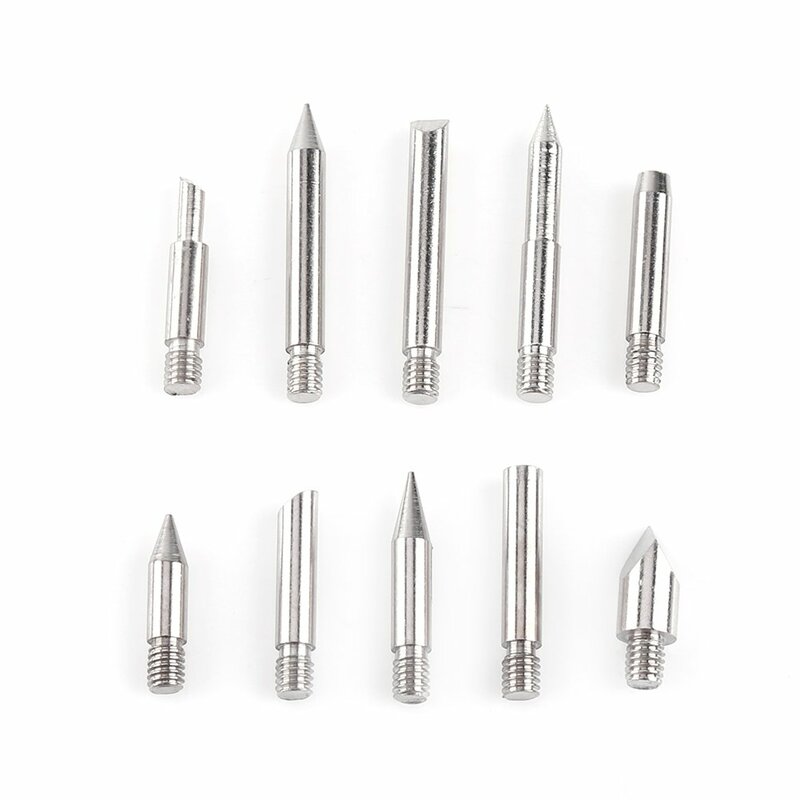 The wood working and soldering tips set is a great addition to your wood working or soldering tool collection. 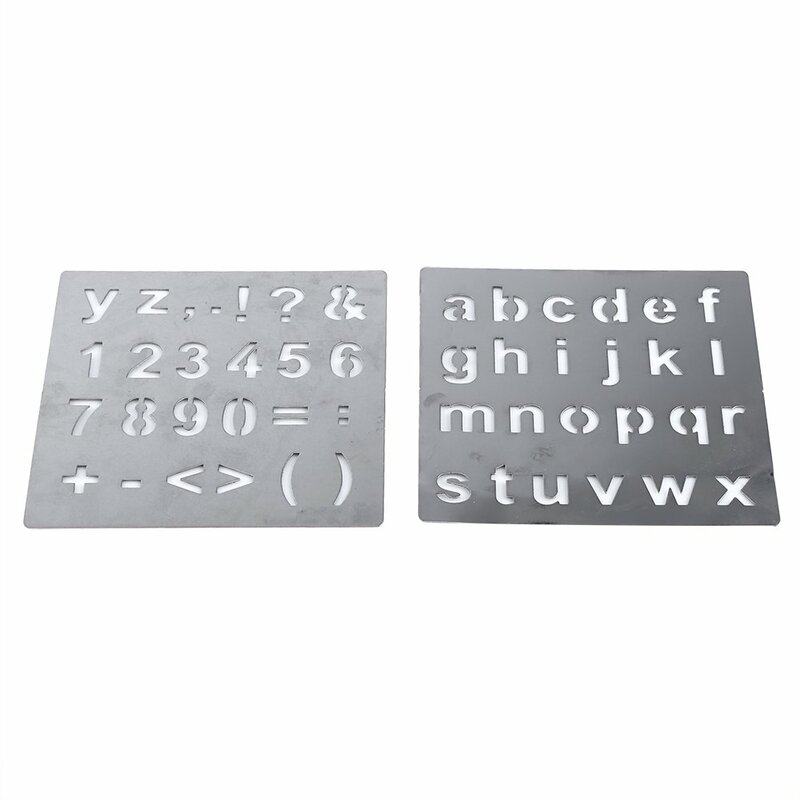 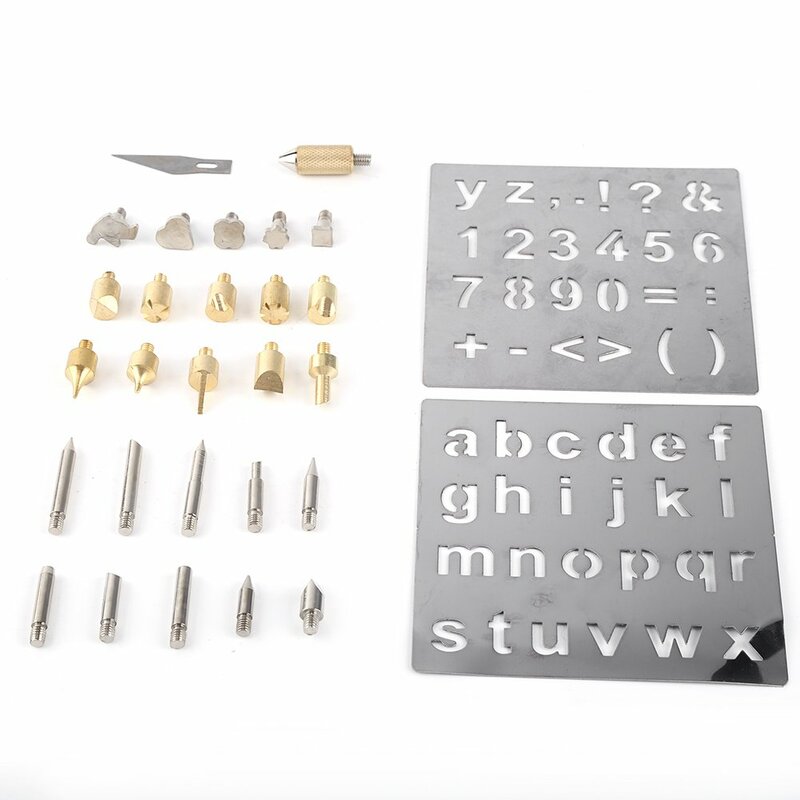 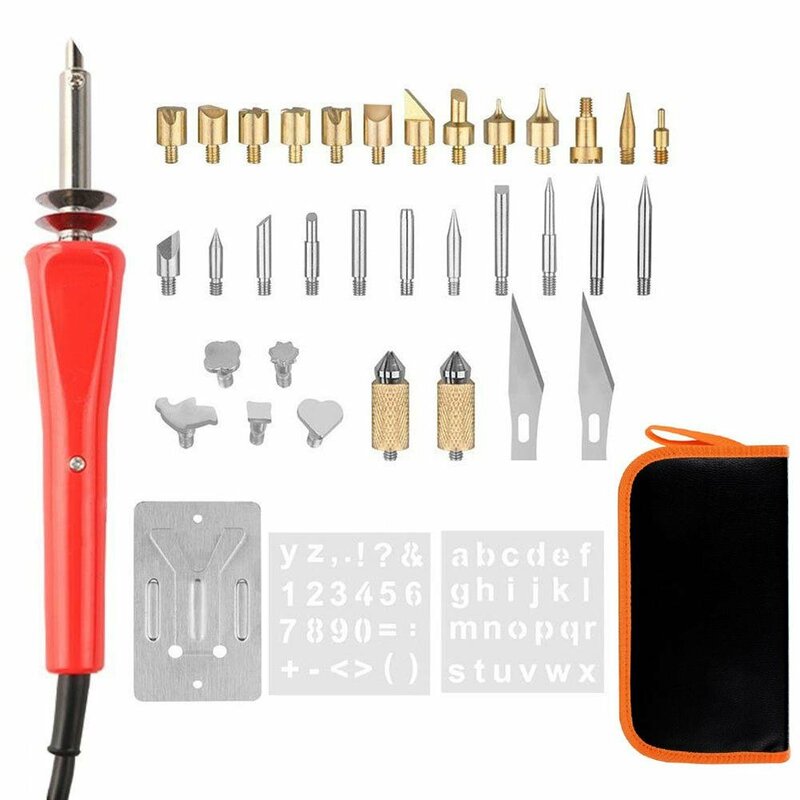 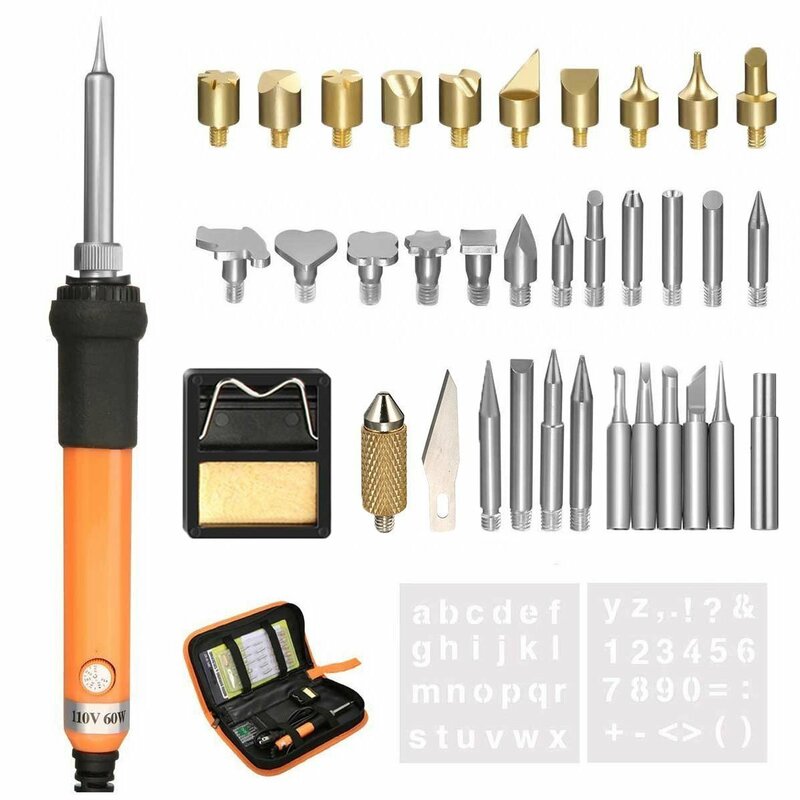 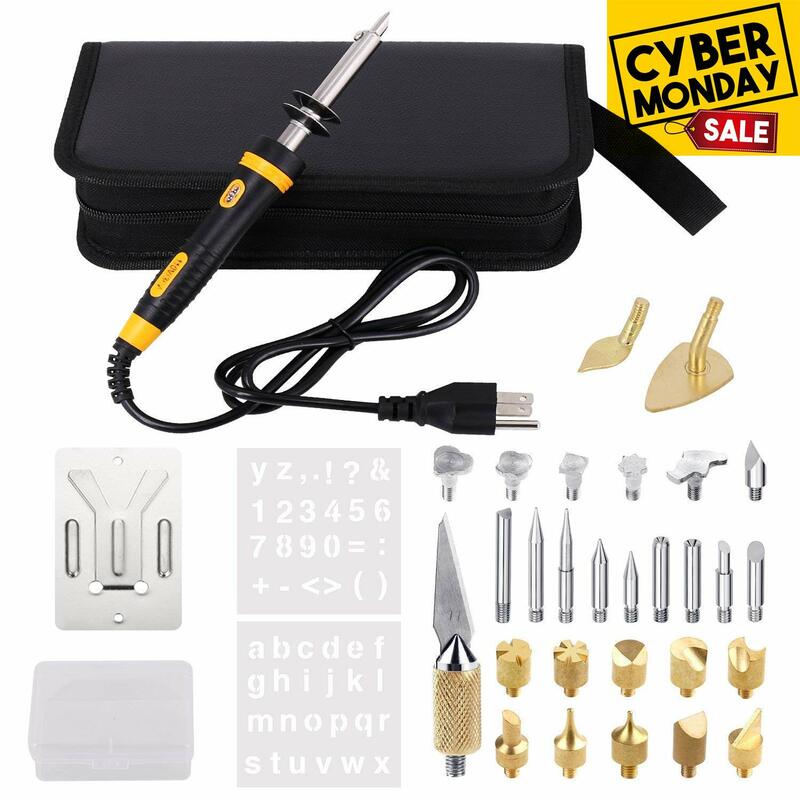 This set comes with tools you'll need for your wood working projects: wood carving tips, wood embossing tips, soldering tips, hot knife chuck and blade, number, letter and basic symbols stencils. 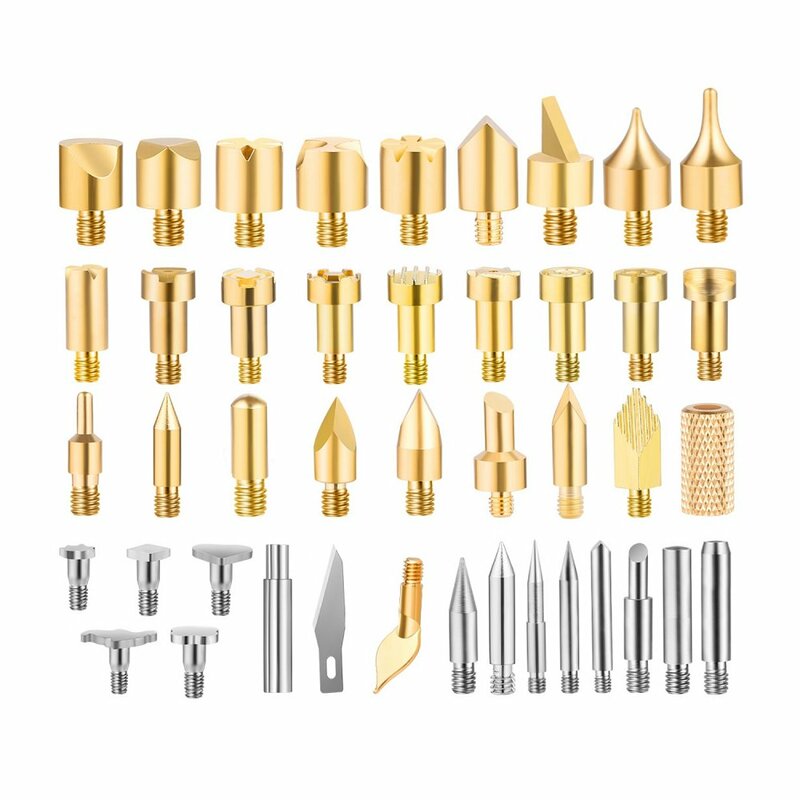 Make sure to get one set before your next woodworking project. 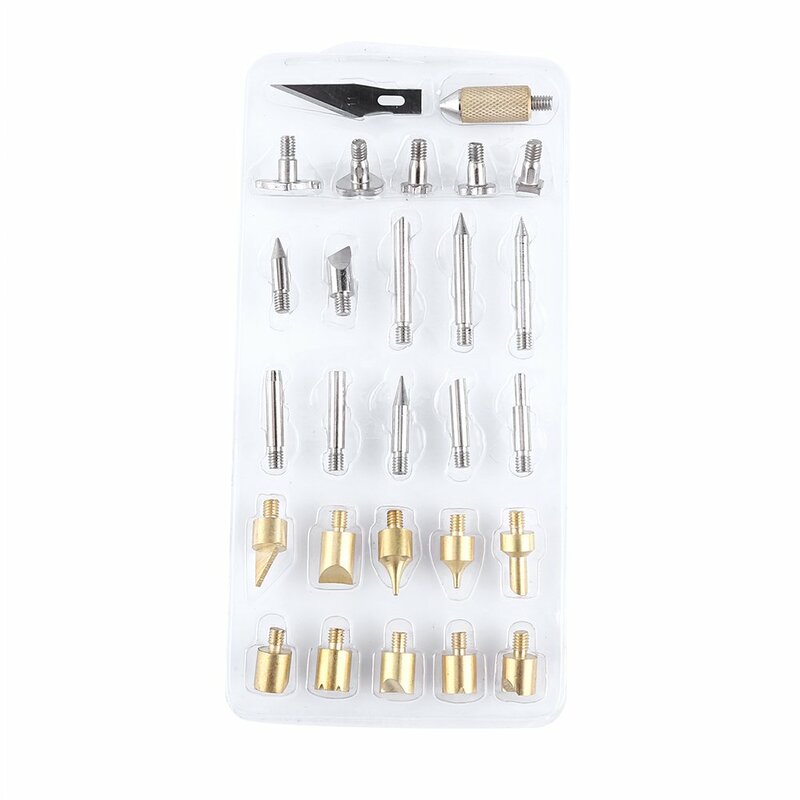 A set of tips made from brass and iron, easy and convenient for drawing a variety of different shapes. 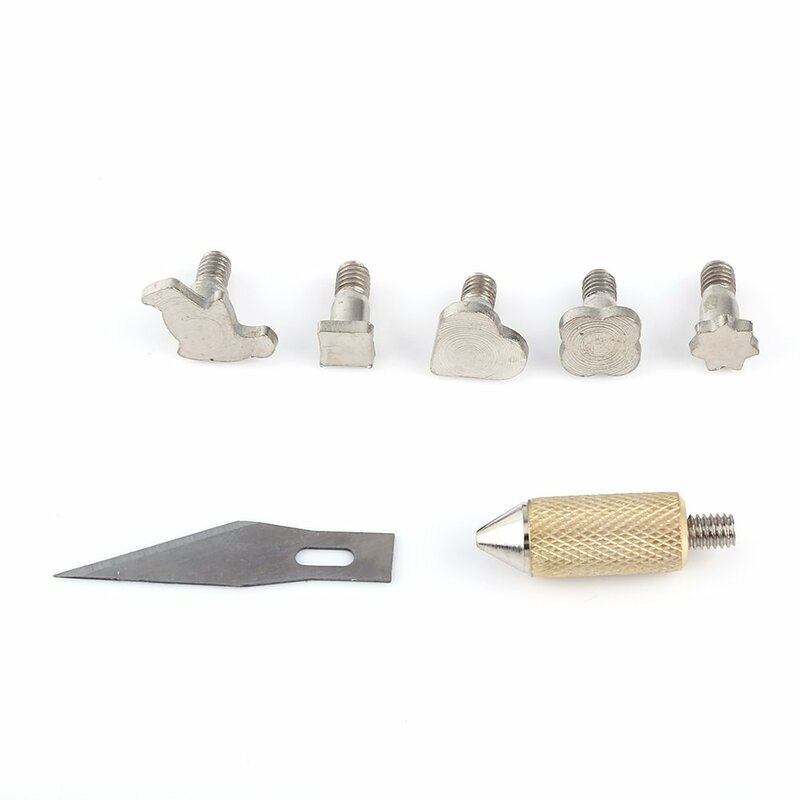 Iron tips are of a higher hardness which apply to make pyrography with force. 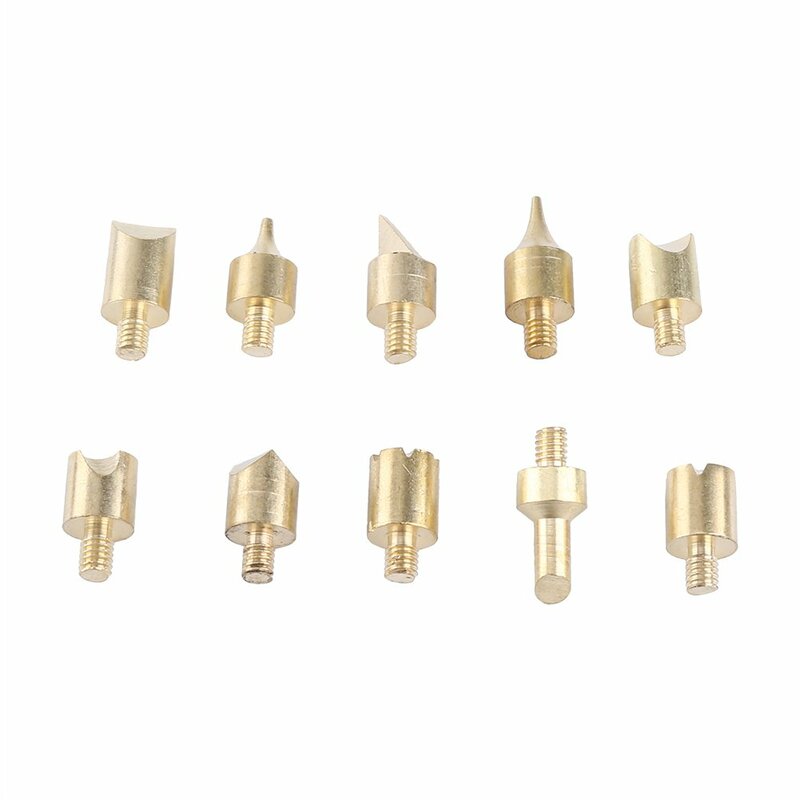 Brass tips will be softer when heating which can not be used with much force, commonly used in many kinds of patterning or seals. 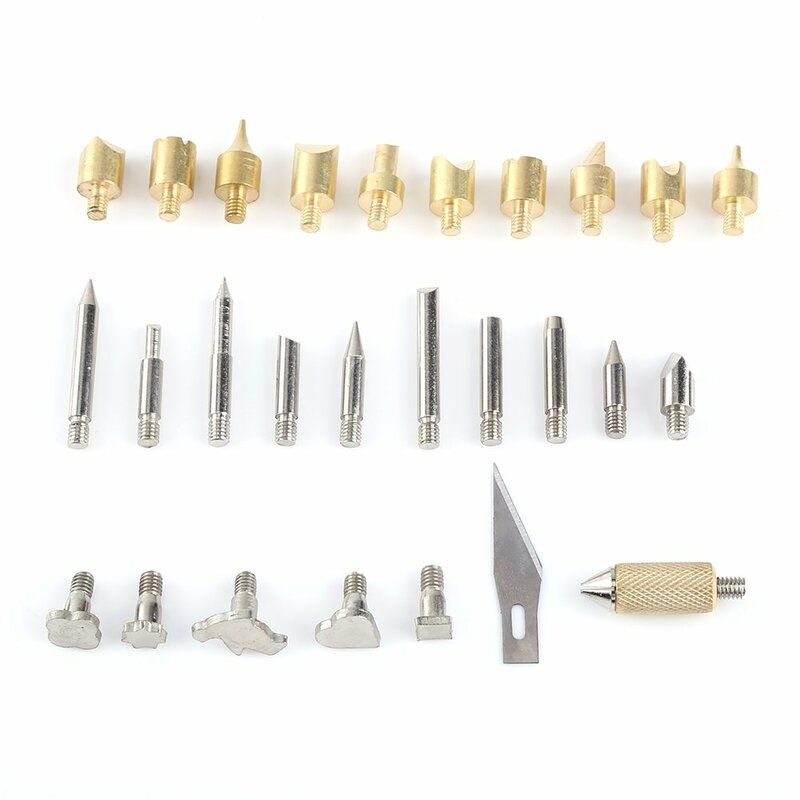 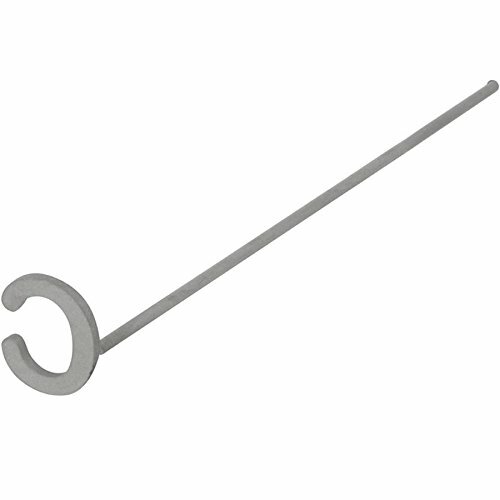 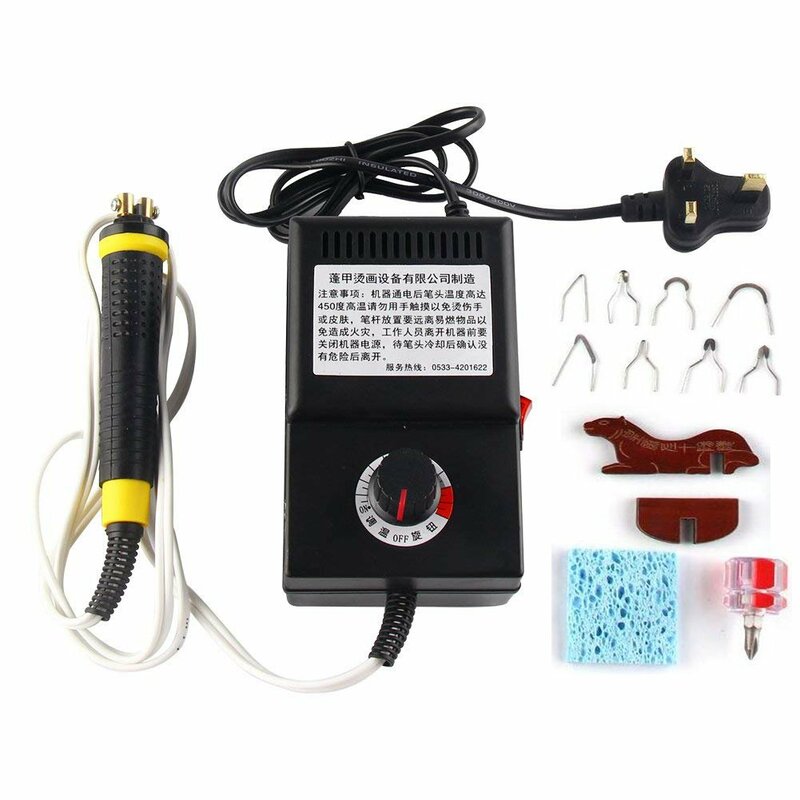 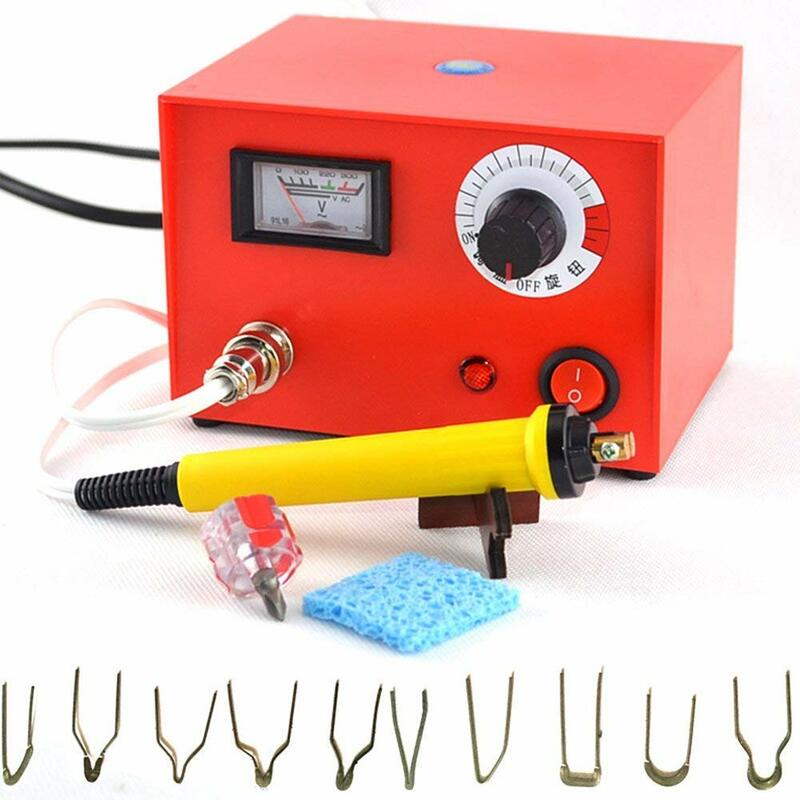 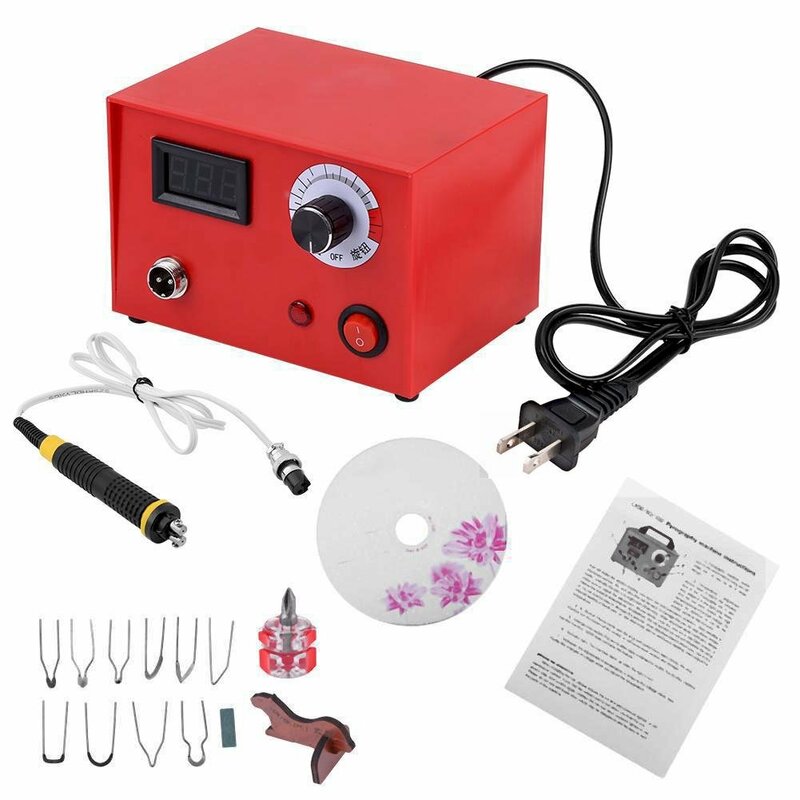 Great for Woodworking, Soldering, Metal Work, Hobby, Craft, Home, etc.